Donated to City of Winnipeg Archives, 2004/20. 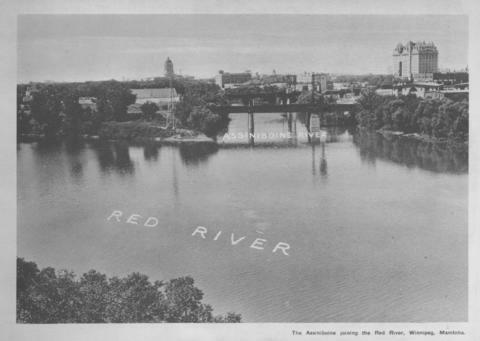 Print shows a photographic image of the Red and Assiniboine rivers joining at the Forks. Photogelatine Engraving Company Limited (Ottawa, Canada), "Souvenir Views of Winnipeg Manitoba, Canada. A Dominion Series View Book," [193-], [page 9].